LIGHT WEIGHT AND FUEL EFFICIENT! 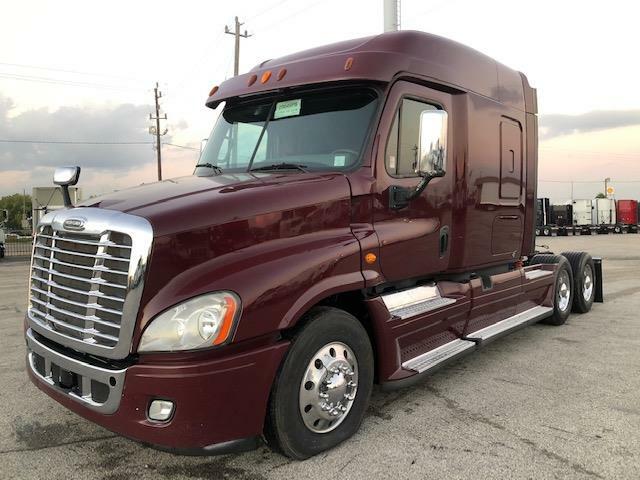 This Freightliner Cascadia MRXT is in excellent condition and ready to go to work. It's aerodynamic package along with light weight specs make it one of the most fuel economical Class 8 trucks available today. Power windows, power locks, power/heated mirrors, dual air-ride seats, and a 72" mid roof sleeper. DOT Ready, PM Serviced and Professionally Detailed. 90 Day Confidence+ Power-Train Warranty Included Extended Warranty, Insurance, 24/7 Roadside Assistance, and Financing Available! We say yes when others say no! Call us today and let one of our friendly and knowledgeable sales consultants help you find the equipment you need.